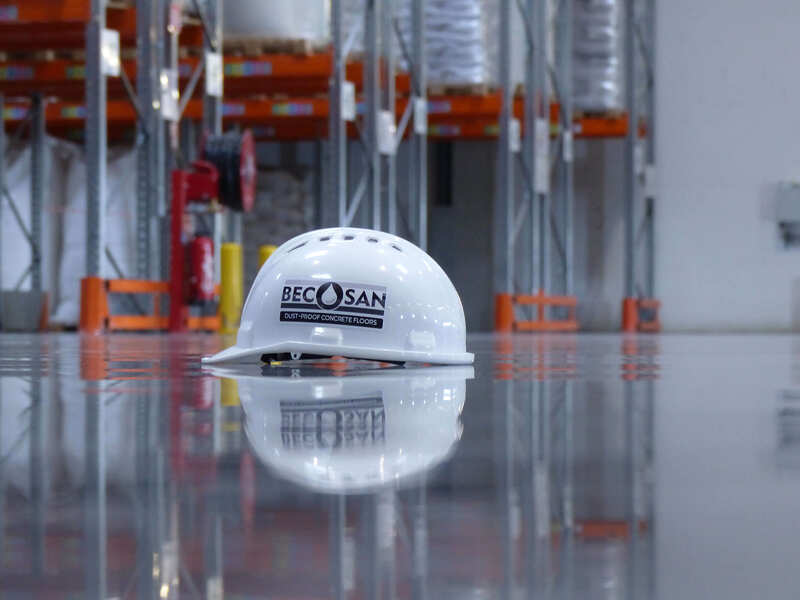 BECOSAN® » English » How does concrete become waterproof? How does concrete become waterproof? How can you make waterproof concrete, cement and mortar yourself? How can existing concrete elements be sealed so that they become water-repellent? Which procedure is best? We will answer these and some other questions in the following guide. In it, we discuss the composite material concrete in a waterproofed mixture and also as a building material that has already been processed and is to be made water-repellent retrospectively. Making concrete waterproof or making a waterproof concrete mix – how do you make the building material resistant to water? Here are all the answers to your questions! Concrete is not 100 percent waterproof in the classic mix. The most popular concrete strength classes C 16/20 as well as C 20/25, however, retain some amounts of water in addition to the corresponding pressure. However, they can also absorb moisture to a certain depth if they are exposed to it permanently or under high pressure. The water resistance of the concrete also depends on how well it has already dried and hardened. Fresh, wet concrete is more susceptible to repeated irrigation than completely “finished” concrete, which can be worked on house, garden, bridge, office building and factory hall. What is the difference between concrete and screed? Waterproof cement – an alternative? Cement is a binder used in the mixing and tempering of concrete. Sand, gravel, crushed stone or chippings are used as aggregates. Additional admixtures and additives are added to this basic mixture depending on the construction or DIY project. If you want to make the concrete waterproof, you can buy various admixtures and types of cement on the market to keep the moisture away from the finished building material as much as possible. These additional ingredients for the composite material have one advantage: they ensure water resistance at every point of the component. This means that the concrete is still waterproofed even if the upper layers have flaked off. However, the products sold under names such as Zementmix, Cement Mix, Water-free Concrete and the like have one disadvantage: they do not harden or seal the concrete. This means that the surface of the concrete component remains porous. It may not allow moisture or moisture to penetrate. However, water and dirt can continue to accumulate in the superficial pores and microorganisms can multiply. Thus bacteria have the possibility to attack the component and moss, lichen, algae and other harmful growths are formed. This occurs all the more the more the unsealed and hardened surface is damaged. Ergo: Using waterproof cement to mix concrete is one solution, but by no means the optimal one. 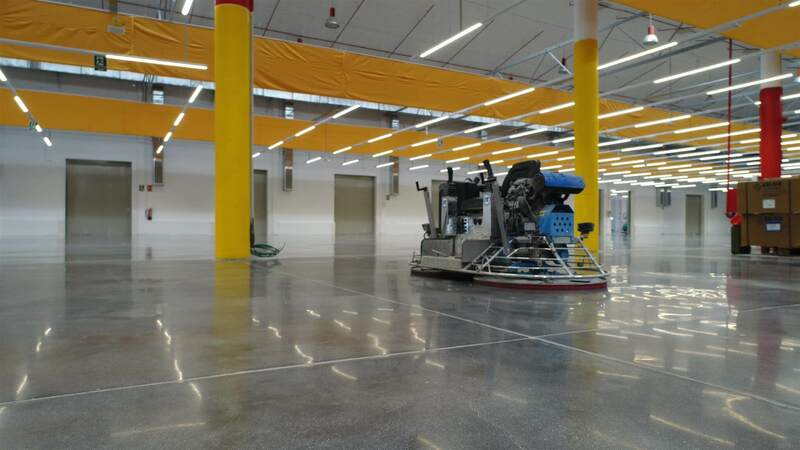 If you decide to use conventional concrete for your new building or if you have a concrete surface that already exists and needs to be made water-resistant, then silicification and sealing are the best means of choice. New and existing concrete floors as well as walls and roofs made of the composite building material have a microscopic roughness on the surface. In addition, mineral salts leave the core of the concrete. 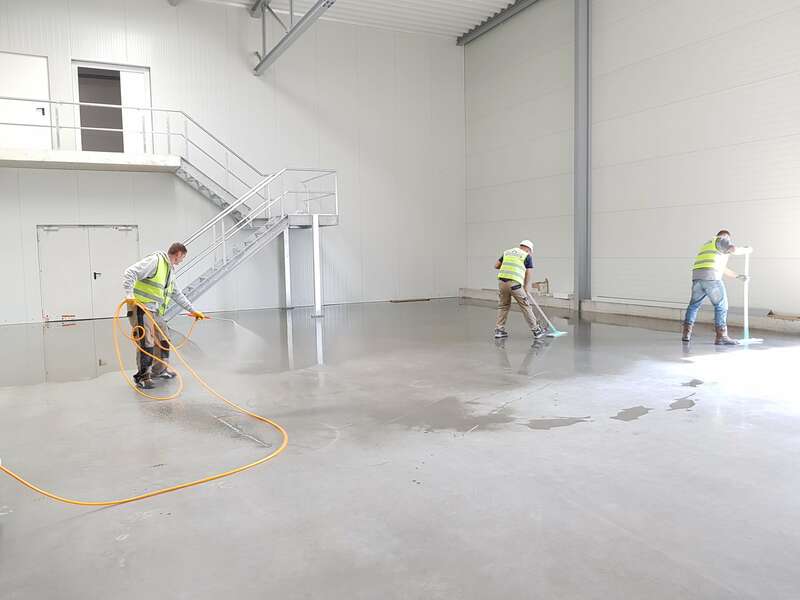 Every day the concrete therefore wears off, causes dust and the pores of the surface provide space for dirt, moisture, microorganisms and other harmful influences. Waterproofing concrete – How does is work? Making concrete waterproof is therefore possible through various measures and techniques. So-called waterproof cement should not be used. Although the additives used have a harder structure and a certain resistance to wetness and moisture, the surface of the concrete remains porous and susceptible to erosion, pests and green vegetation even when these substances are used. It is therefore better to make the concrete waterproof with a professional sealant. This applies not only to floors, but also to concrete walls, concrete roof tiles and other construction elements. In addition to water resistance, our product brand shown above also offers breathability and dirt repellency. Concrete should also be particularly dry when used in residential buildings, offices and other enclosed spaces. We have prepared the following breakdown and overview for you. The waterproofness of concrete can and should be achieved by sealing the surface. However, before and especially after construction measures, weak points may develop. For example, the boreholes used to attach shelves, machines or other wall elements, as well as the holes in the floor caused by the fixation of machines and components, serve as inlets for moisture and wetness. Therefore, these holes, but also joints between concrete components and similar openings or gaps, must always be sealed watertight. Depending on the type of weak point and location (inside or outside), simple silicone can be used as a closure. What does a horizontal barrier do? A horizontal barrier is a seal applied to the wall, usually in the form of a liquid that hardens in the component. This internal water brake ensures that moisture cannot penetrate from a lower floor (cellar, underground car park) or from the floor into the wall and wet it through. In addition to concrete, porous masonry, sandstone and fieldstone walls are particularly affected by rising damp. In addition to products for surface treatment, we at BECO TREAT also have means for a horizontal barrier as a water-repellent measure ready for you.